It took me several years before I actually learned this truth but it seems that I still have to remind myself from time to time. I guess it's because we, human, always want to be perfect. It's in our nature, an impossible need that brings us great suffer. As Salvador Dali said, "Have no fear of perfection, you will never reach it!." 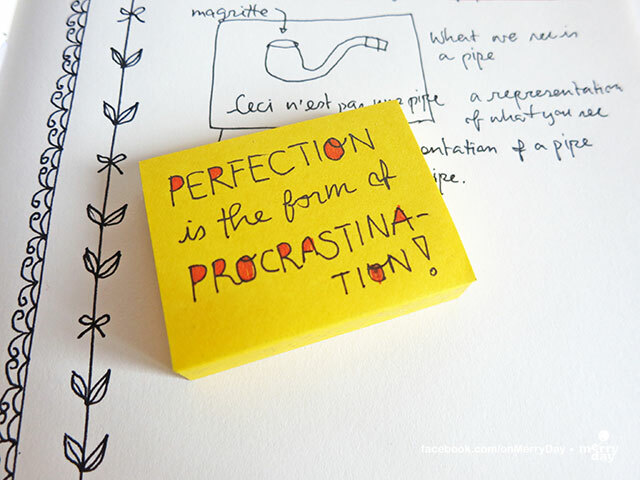 Note to self : Don't seek for perfection, seek for joy of creating.